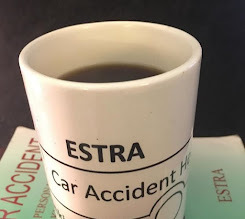 SEATTLE (ESTRA) --Why are Insurance Companies and Employers excluded from the laws of harassment? Why would it be ok to intimidate Group Disability Insurance Policy Employees while no other citizens are subjected to this behavior? In addition, why would Officers of the Law ignore request for help by the injured? Who has given them a pass on bullying behaviors, which impacts negatively on injured Employees? Should Employers have these rights just because they are required to pay out money on a disability claim? How is this fair or just? What is the traumatic effect on people who are already injured, and most times, at their weakest moments? How many cave in to drop their claims because they buckle under the weight of pain, suffering, and now loss of income they thought would be available if tragedy strikes? Yes, currently an Employer withholding disability income benefits from an Employee have few or little consequences, thus, makes it an attractive alternative to paying out claims. By limiting the amount of reimbursement for such malicious behavior, Congress has unfairly targeted the injured for mistreatment, in my opinion. The poor have gotten poorer, the middle class drop to poor, and the wealthy fight back like crazy! Why should injured have to fight for the right to be treated with respect and dignity through this process? Should the laws of our land protect injured and sick? These laws apply to Individual Insurance Policies, why would Employer Group Insurance Policies be excluded? Why would ERISA, which is the legislation created by Congress, give them more rights and privileges than those injured whom supposedly these laws were initially created to protect? It is time to ask your Congressional Representatives this question, “Where do you stand on this issue? And, would you vote for ERISA Reform to make it fair for injured or sick Employees? Initially, in claim process, a stage is set for injured to feel safe and secure for working on their injuries. Most bend over backwards to provide the answers requested by insurance companies or employers. Many are surprised, some sooner others later, when receiving a letter that their benefits stopped, or worse, their regular benefit check does not show up when expected. Next, add the ploy of an overpayments scare tactics which many times intimidate Employees into relinquishing the rights and benefits. This may compound the feelings of loss and despair for too many individuals. Is this why you were paying premiums each pay period? Are you expecting a safety net in cause of trouble? In these instances, benefits don't come. Now you have to hire an attorney and fight for 2 – 10 years for benefits. This becomes a time of great endurance of suffering and loss for Employees injured in a car accident. Compensation to injured should not be dropped at the discrepancy of Employers since they have a vested interest maintain profitability of their bottom line. Isn’t this a conflict of interest? Is it this desire for profitability that engages many in Disability Harassment against Employees? If so, should there be something in place to discourage this practice instead of using it with vigor? How about a requirement that all profits they make in those 2-10 years are pro-rated to their insured? Would this change a behavior that is typically industry wide? Imagine the amount of suffering it would reduce. How many injured could recover sooner and get on with their lives? How many of their family members would not be overly burden? How many relationships could be saved because of less stress? The “what if’s” are endless. So next time you write or talk with your Congress Representative ask them to Reform ERISA. Make it the same as an Individual Disability Insurance Policies. 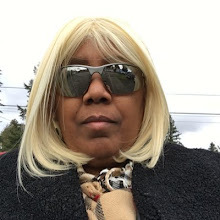 With these policies, harassment and intimidation practices have consequence the injured can act on upon to curb behaviors which inflict pain and suffering in an effort to eliminate paying out disability benefits to injured or sick people.